Youda Survivor Use basic tools and the local wildlife to survive after stranding on an island. Youda Safari Give tourists a once in a lifetime experience as you guide their safari. Youda Legend: The Golden Bird of Paradise Unravel the dark mysteries of the jungle in search of the legendary ‘Golden Bird’. 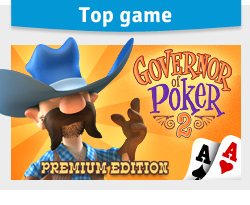 Governor of Poker Go back to the roots of this exciting game and play poker against the old western pros!